Step 1. Remove the OnlyKey and Keychain from packaging. Step 2. Attach the provided keychain to your OnlyKey and insert OnlyKey into protective case. Step 3. 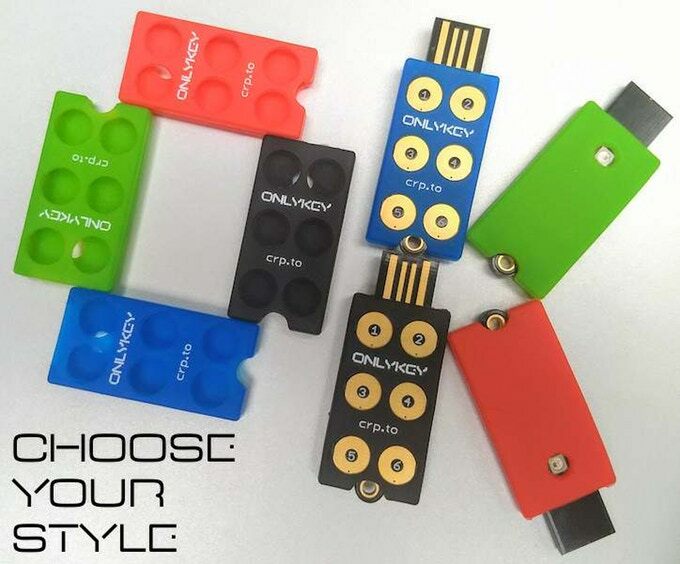 (Optional) Check out OnlyKey accessories - color cases, mobile adapter, business workstation. There are two options for installing the OnlyKey app. Step 2. Install and launch the app. Pro Tip: You can ensure the integrity of your downloaded file by verifying the checksum. Step 4. 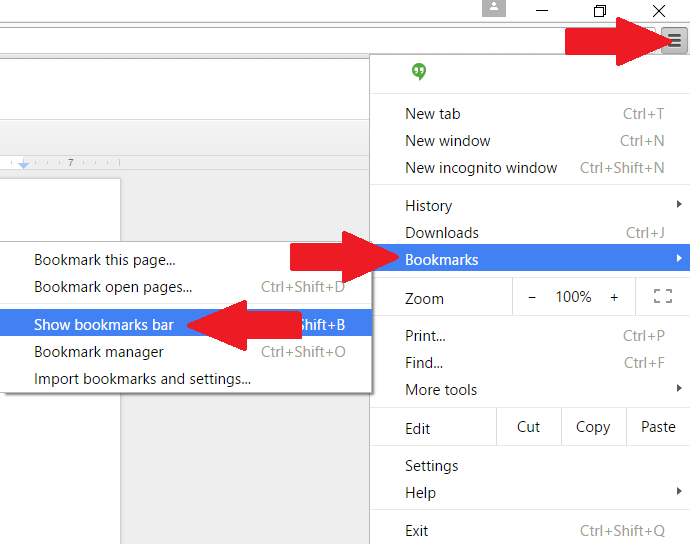 To launch the OnlyKey Configuration App select the top right menu icon -> Bookmarks -> Show Bookmarks Bar to enable the bookmarks bar to become visible. Then select the Apps icon (Or alternatively browse to ‘‘chrome://apps/’’) and then select the ‘‘OK’’ icon to launch the OnlyKey App. Step 1. Insert OnlyKey and select [Next] to get started. Step 2. Enter a PIN code on the OnlyKey Keypad, check the disclaimer box, and select [Next]. Step 3. Re-enter PIN code, and select [Next]. Step 4. Enter a PIN code for second profile, check the disclaimer box, and select [Next]. Step 5. 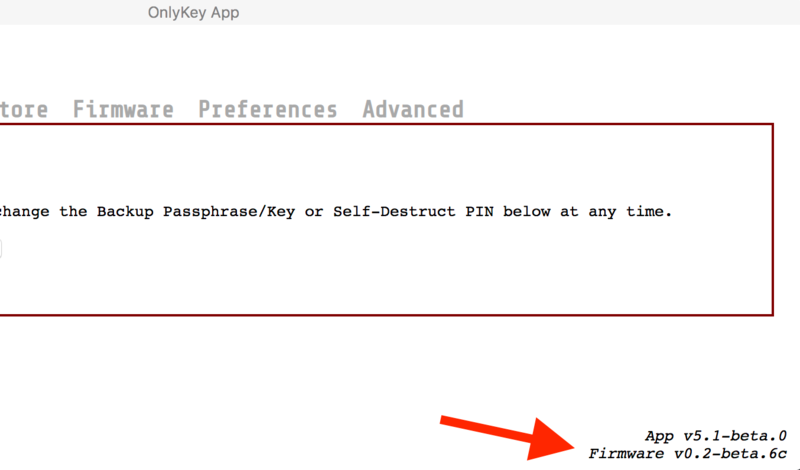 If you wish to set a self-destruct PIN enter a PIN code, check the disclaimer box, and select [Next]. Step 6. Re-enter PIN code, and select [Next]. Step 7. Follow the instructions to enter a Backup Passphrase and select [Next]. Step 8. If you have an OnlyKey backup to restore, select [Choose File] and select your OnlyKey backup file and then select [Next] to load it onto your OnlyKey. If you do not have a backup just select [Next] to complete the setup. Your device is now set up and will automatically reboot. You will be prompted to enter your PIN from now on when using the OnlyKey. Pro Tip: Forget your PIN? Method #1 - Enter your self-destruct PIN. Method #2 - Enter 10 incorrect PINs. You will notice that after entering 3 incorrect PINs your OnlyKey is steadily blinking red. This is an intentional safeguard so that your OnlyKey will not be inadvertently wiped by repeatedly pressing buttons. You must remove and reinsert your OnlyKey and enter 3 more incorrect PINs. Repeat this until 10 incorrect PINs have been entered. The device will then have a solid green light on that indicates that it is ready to set up. If you want to learn more about the Self-Destruct and Plausible Deniability features see the OnlyKey FAQ and the OnlyKey Features. Pro Tip: Set aside some time to set up accounts as this can be time consuming the first time you set it up. After you configure your profiles once you won’t have to do this again unless you add a new account. Think of all the time you will save not having to remember and type usernames, passwords, and getting your phone out to type codes etc. This is a huge time saver in the long run. Enter your PIN - After setup you are prompted to enter the PIN you set onto your OnlyKey six button keypad. Now that your OnlyKey is unlocked you see this screen. The Slots area of the application is where you will set up things like your usernames, passwords, and 2 factor. As you can see the word ‘‘empty’’ is shown 12 times next to a button with a number and a letter. Each of these buttons refer to one of the slots on your OnlyKey. What are slots? On the OnlyKey you have 6 buttons and 12 available slots in each profile. Each slot can be set with a Label, URL, Username, Password, and two-factor authentication. Each slot is assigned to a button on your OnlyKey. 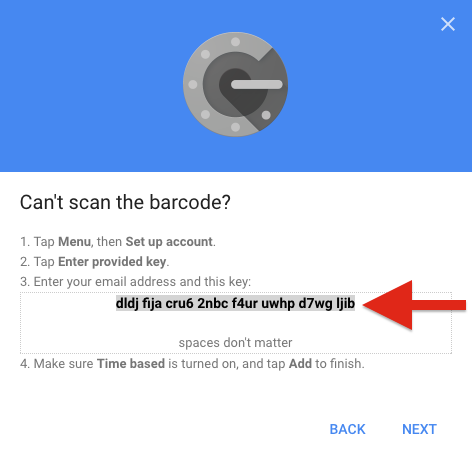 So for example if you were to save your Google password to slot 1a, then to type out your Google password you would tap button 1 on your OnlyKey for less than one second (Slot 1a). If you were to save your Yahoo password to slot 1b, then to type out your Yahoo password you would hold button 1 on your OnlyKey for more than one second (Slot 1b). Each button has two slots assigned to it that can be activated by holding the button for less than or more than one second. The slots that have not been configured have no label so they are shown as ‘‘empty’’. Next, let’s set a label to slot 1a. Step 2. Enter a label such as Gmail in the Label field, check the box next to Label, and click Submit. Now the label you entered is assigned to slot 1a. Slot labels are helpful if you forget which button is assigned to which account you can open the OnlyKey app at any time to see how it is set up. What if I am using a computer without the OnlyKey app? This is where the card you received with your OnlyKey comes in handy. You can write your labels on this and carry this in your wallet. This is a low tech solution but it works great. Important: Obviously, no sensitive information should be written on the card or saved to your slot labels. Just something that helps you remember which account is assigned there. Next, let’s assign a username and password to slot 1a. The example configuration shown below would be to set up a username and password to automatically login to the Google page shown below. Note: Since not all Login pages are the same OnlyKey has options like tab (use to go to the next field) and Return (submit). These essentially press either the tab or return key so if you are unsure of how to set up your OnlyKey configuration try logging into your login page first by using just your keyboard. For the example above you would do this by entering your username, pressing the Return/Enter key, on the next page entering your password and then pressing the Return/Enter key to complete your login. 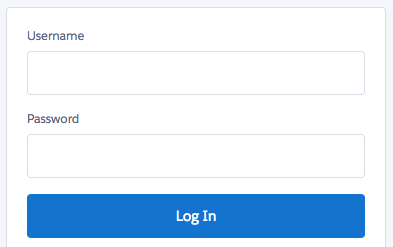 Once you set your desired account information to a slot then try it out by going to the login page, clicking in the login field, and pressing the corresponding button on the OnlyKey. The password is entered before page loads. Set the delay, usually 2-3 seconds works well but this may not be enough time for slow web pages or slow internet connections. You can either set the delay to a high value like 8 - 9 seconds to give yourself time to enter this or select None. Selecting None means that the password is entered but not submitted so you have time to enter additional information. Everything works fine but I really wish it typed faster. You can adjust the type speed in preferences. As mentioned earlier, login pages can be different between sites and sometimes even different on the same site. 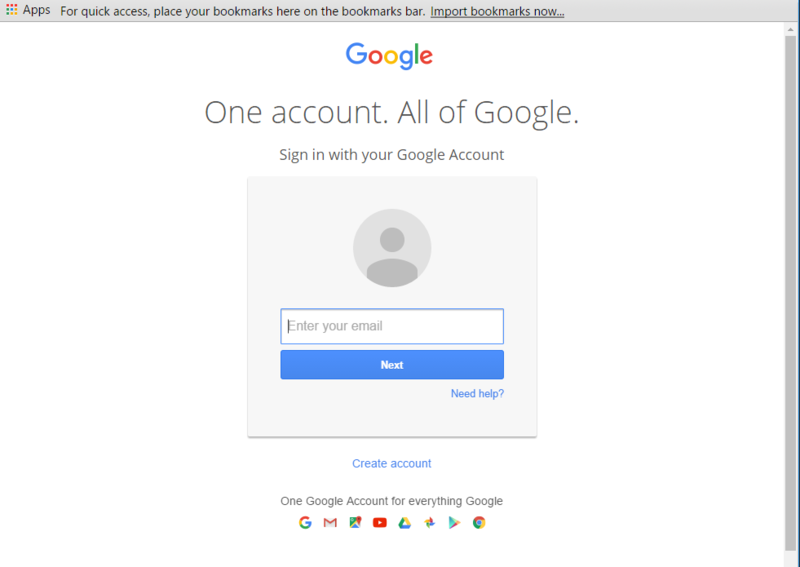 For the second example we will set up another Google login, this one for a Google account where the username is already saved to the website so all you need to do is enter a password. This is the default when you have already logged into Google in the past on a computer. 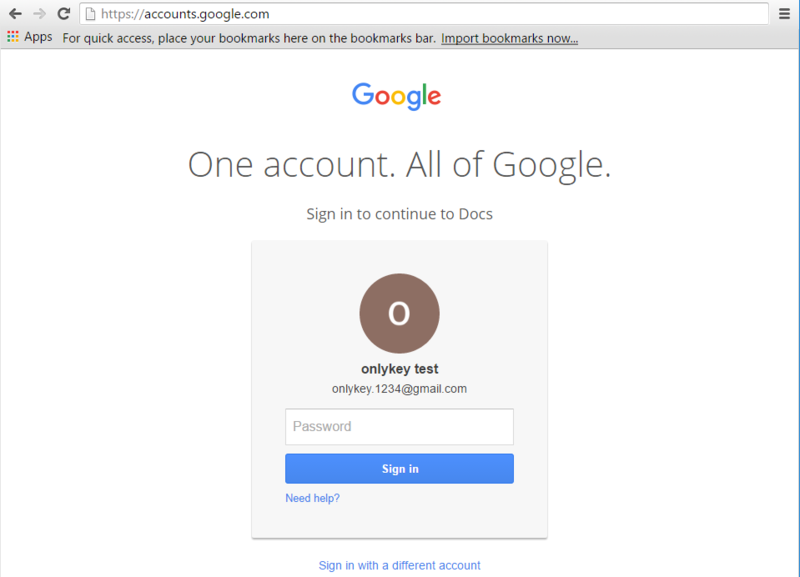 Additionally, by using the URL field we can have the OnlyKey type the login page URL into the browser and browse to the login page (in this case accounts.google.com). This way a one-touch login is possible. Just select the empty URL field in the browser and the URL is automatically typed out and Return is pressed to browse to the site. Once on the site the password is entered and the login is complete. Pro Tip: Using the URL field provides protection against spear phishing attacks as this provides assurance that the site you are entering your password into is the legitimate site. For example, if you receive an email asking you to log into your account to verify something instead of clicking the link in the email to login you would use OnlyKey to browse to the correct site to login. The example configuration shown below would be to set up a URL and password to automatically login to the Google page shown below. Notice that the username is already remembered by the website, so there is not a need to set this in the OnlyKey slot. These examples illustrate how to use OnlyKey in two real world scenarios. A key takeaway here is that you can configure OnlyKey to automatically do what you would normally do manually. Any combination of the fields shown in the slot configuration may be used or not used to fit login format. The table below shows how to configure some common login forms that at first may seem problematic. Site that does not automatically select username field after loading page (i.e.Kracken). With URL - You will notice that "Tab before UserName" is checked. This will select the username field as it is not automatically selected when the page loads. Without URL - Browse to the login page first and place cursor in the username field before selecting the assigned OnlyKey button. Site where username is remembered after first login (i.e. Google). 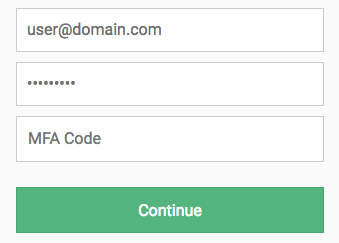 Password and 2FA only - This is usually the best option if you remember your username/email address as this will work on any computer whether your username is remembered or not. This method does not include URL in case you are prompted for a password. Username Remembered w/URL - If you use your device mostly on a computer where you username is remembered this is a good option. If you use this configuration on a computer where username is not remembered then you must output of the login information into notepad and paste into login fields. You will notice that "Tab before OTP" is checked. This will select the OTP field as it is not automatically selected when the page loads. Pro Tip: Before testing a configuration in your web browser it is a good idea to try it out in a text editor like notepad, just to make sure it looks right. The last thing you want is to find that you accidentally are typing your password out in the wrong field and now have to change the password. Important: NO WEAK PASSWORDS - While OnlyKey makes it possible for your accounts to be more secure than remembering passwords or than using a software password manager one thing to remember is that it is up to you to use strong passwords. If you set your password to something like ‘‘password1’’ this is not secure, in fact we recommend using randomly generated strong passwords that cannot be guessed or cracked by a hacker. Generating a strong password is easy to do. Next, let’s use two different methods to generate strong uncrackable passwords. Install a browser extension by selecting add to Chrome the same way that you installed the OnlyKey app. Chrome Extension available from the Chrome Web Store here. There are many websites that allow you to generate a secure random password including the Lastpass tool. 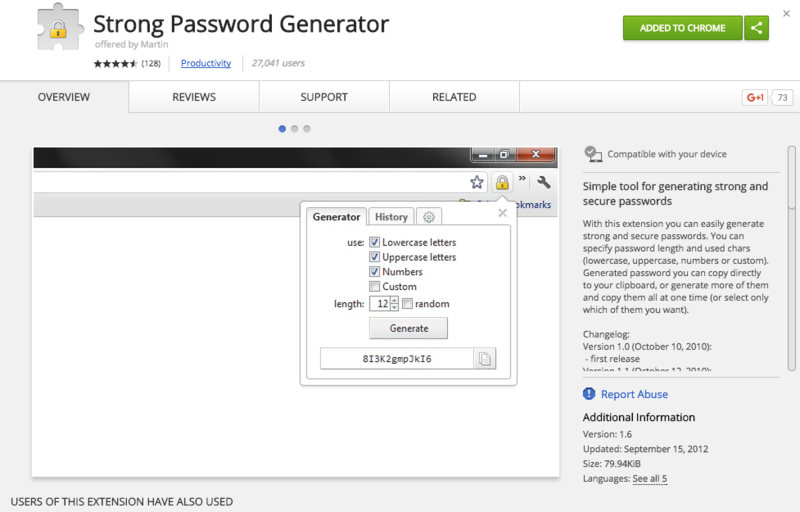 LastPass password generation tool available here. DISCLAIMER - Google® is the registered trademarks of Google Inc. OnlyKey is not associated with or sponsored by Google® Inc. Pro Tip: If you are not a 2FA guru then this is the recommended method to use. You would then take a picture of the QR code the website gives you. The app then starts generating a 6 digit number that changes every 30 seconds that is required to be typed into the website login prompt in addition to your username and password. This method of two-factor authentication has some notable advantages over using features like 2nd-step verification where a website will send you an SMS message with a code to enter to login. One weakness in the SMS approach is that phone numbers can be transferred to a malicious party sometimes just by calling and asking the phone company to do this and providing some personal information. Another weakness is that more sophisticated attackers may be able to clone your phone number and then receive SMS messages sent to you. 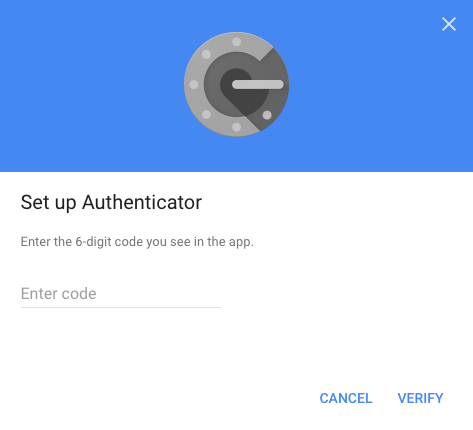 Google authenticator (TOTP) solves some of these issues by generating the code on your phone itself using a private key. Now that the background is covered we can set this up on your OnlyKey. No phone or app required for setting this up on your OnlyKey but if you wish to maintain a backup of your two-factor authentication codes it may be a good idea to download the app and scan the QR code as a backup in case you lose your OnlyKey. Once you click submit your OnlyKey is ready to generate OTPs. Step 3. Generate OTP - Place your cursor in the ‘‘Enter code’’ field and press the button that corresponds to the slot that was set. In the example above we set slot 2a so we press the #2 button to generate the OTP. Once your account has been verified you are all set. You can add a username and password to this slot so that you can do a one touch login. Keep in mind that the page may take a second or two to load where your 6 digit OTP is entered so set the delay accordingly, 4 - 5 seconds delay should work in most cases. 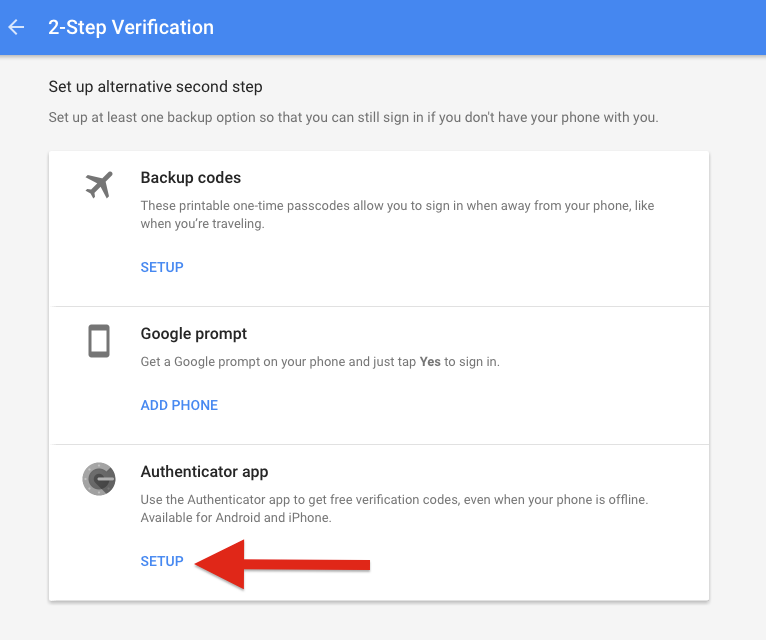 If you are looking for step-by-step guides on setting up other popular sites with 2FA check out the guides here. 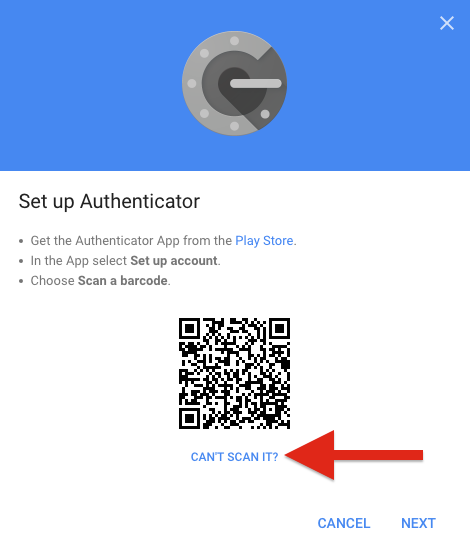 Just as with the steps mentioned above, instead of scanning the QR code with an app, click “CAN’T SCAN IT” to copy and paste the text into the Google Auth OTP field of the OnlyKey app. 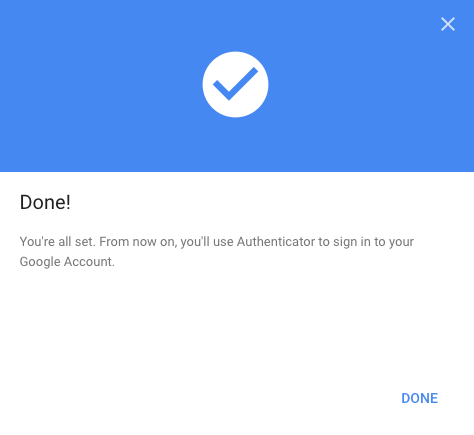 Learn more about the implementation of Google Auth OTP here. One requirement of TOTP (Time-based One-time Password) is having the correct time. If OnlyKey is used on a system where the OnlyKey app is not running it will display “NOTSET” instead of the OTP code. Because OnlyKey has no battery it requires an app to send it the correct time to be able to generate TOTP codes. For this reason it is important to ensure the OnlyKey app is permitted to autostart. However, OnlyKey TOTP will work on-the-go without the app running. All you have to do is browse to our web app https://apps.crp.to in Google Chrome or Firefox (With U2F Enabled). This web app in addition to being used to send encrypted messages sets the current time on OnlyKey and login with TOTP will function as normal. Pro Tip: The majority of Yubikey® OTP applications online require Yubicloud setup. See the Yubicloud setup section after setting up Yubico® OTP. Select the ‘‘Hide values’’ checkbox and select ‘‘Regenerate’’ to create a Public Identify, Private Identity, and Secret Key. Copy and paste these into the corresponding fields in the OnlyKey App (Advanced Tab). Just select a slot that you wish to use with Yubikey® OTP mode by selecting the radio button and then selecting ‘‘Submit’’. The Yubikey® OTP will be generated when the corresponding button is pressed. 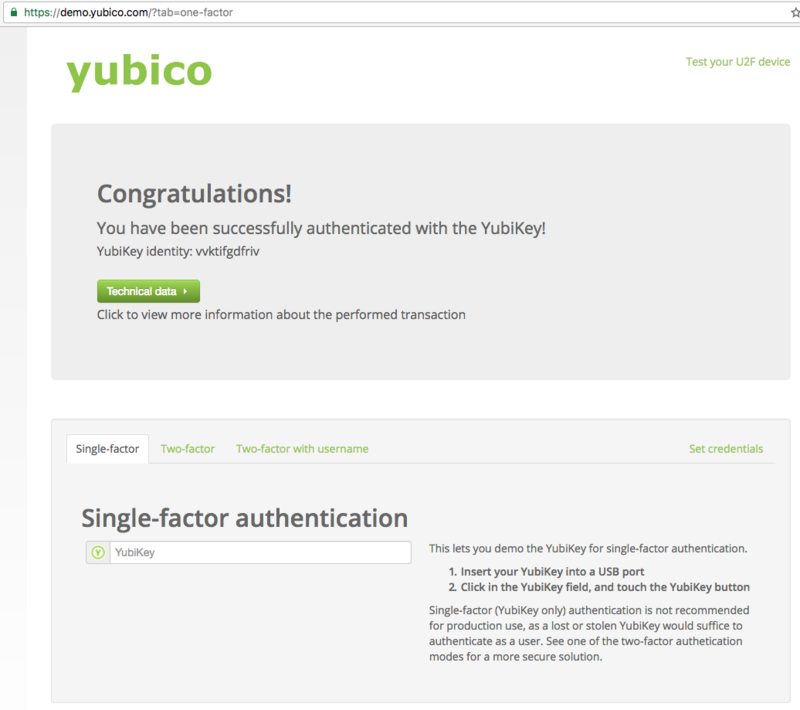 The majority of Yubikey® OTP applications online require Yubicloud setup. See the Yubicloud setup section after setting up Yubico® OTP. 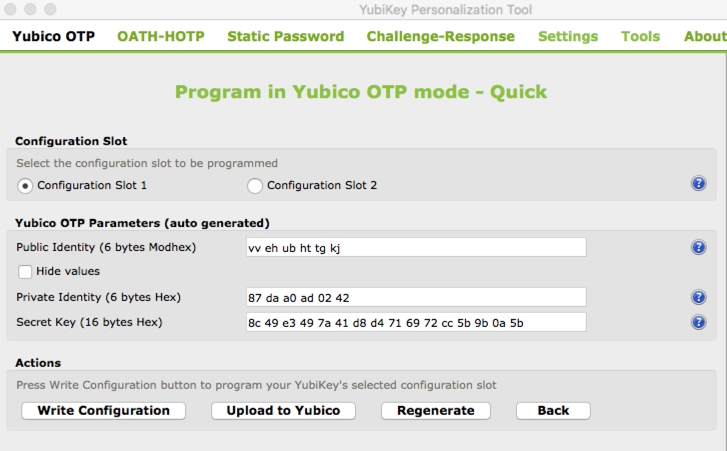 Learn more about Yubikey® OTP implementation here. 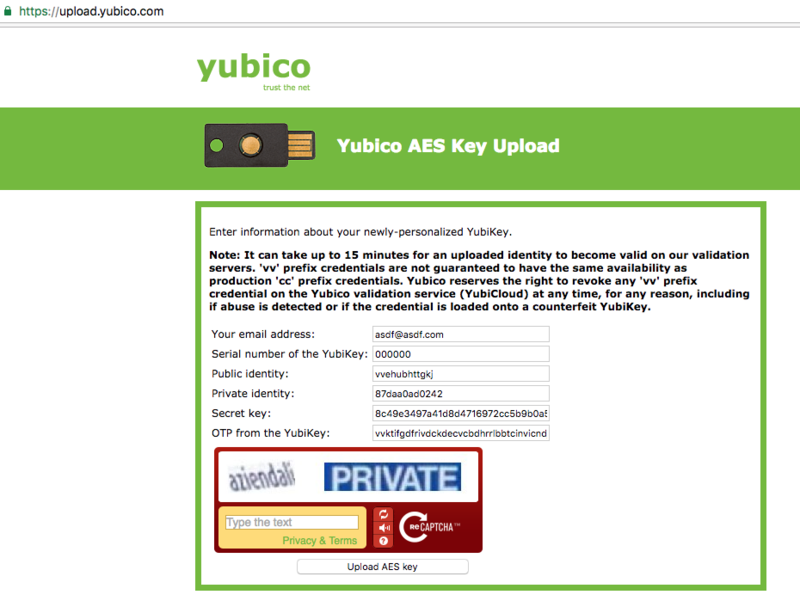 Some online services use Yubicloud for authentication. Yubicloud is owned by Yubico® and 3rd party devices are not supported so OnlyKey is not supported on Yubicloud. However, 3rd party devices will technically work Yubicloud as long as you own an actual Yubikey®. The following instructions show you how to set up a 3rd party device on Yubicloud. This is for your information only and we do not recommend setting up a 3rd party device on Yubicloud. If you choose to follow this information to set up a 3rd party device on Yubicloud you choose to do so against our recommendations and at your own risk. Step 4. Set the values shown in the Public Identity, Private Identity, and Secret Key to your 3rd party device. Step 6. This will open a web browser, to complete the registration enter the OTP in the ‘‘OTP from the Yubikey®’’ field by pressing the button on your 3rd party device. Step 7. Once the form is complete enter the Captcha and select Upload AES key. - Type about:config into the Firefox browser. - Double click on security.webauth.u2f to enable U2F support. OnlyKey works just like any other U2F token. Follow the steps below to configure a slot to use U2F. Step 1. Select a slot that you wish to use with U2F mode by selecting the radio button and then selecting ‘‘Submit’’. Step 2. Go to the website that you wish to register a new security token and when you select to register a token you will notice the OnlyKey light flashing blue, on and off. Press the button corresponding to the slot you set to U2F in step 1 to register token. Step 3. Once registered, your token can be used to authenticate by pressing the button. You can also add username and password to this slot to have a one touch login. 1) Have one designated slot on OnlyKey for U2F. i.e. Set slot 6a as U2F and press button 6 to authenticate to an unlimited number of sites. - Automatically type out and browse to login page (https://www.dropbox.com/login). - Three second delay ensures login page has time to load, this can be increased if using slow internet connections. - Username and password are entered in login field. - Two second delay ensures security key page has time to load. - U2F authentication completes automatically. Learn more about OnlyKey’s implementation of U2F here. OnlyKey stores up to 24 unique accounts in offline storage and can be used to secure an unlimited number of accounts if used in conjunction with a software password manager. For example, set one of the OnlyKey slots to Dashlane, Google (Smart Lock), Lastpass, etc. enable 2-factor on this slot and then use your OnlyKey to unlock your software password manager. This way you can keep your most valuable accounts in offline storage and everything else in the software password manager. Pro Tip: This way you can keep your most valuable accounts in offline storage and everything else in the software password manager. 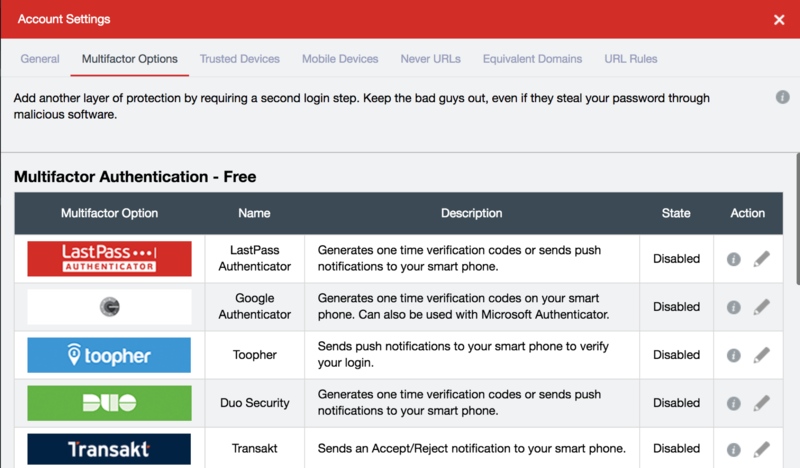 LastPass supports both Google Authenticator and Yubico® OTP. 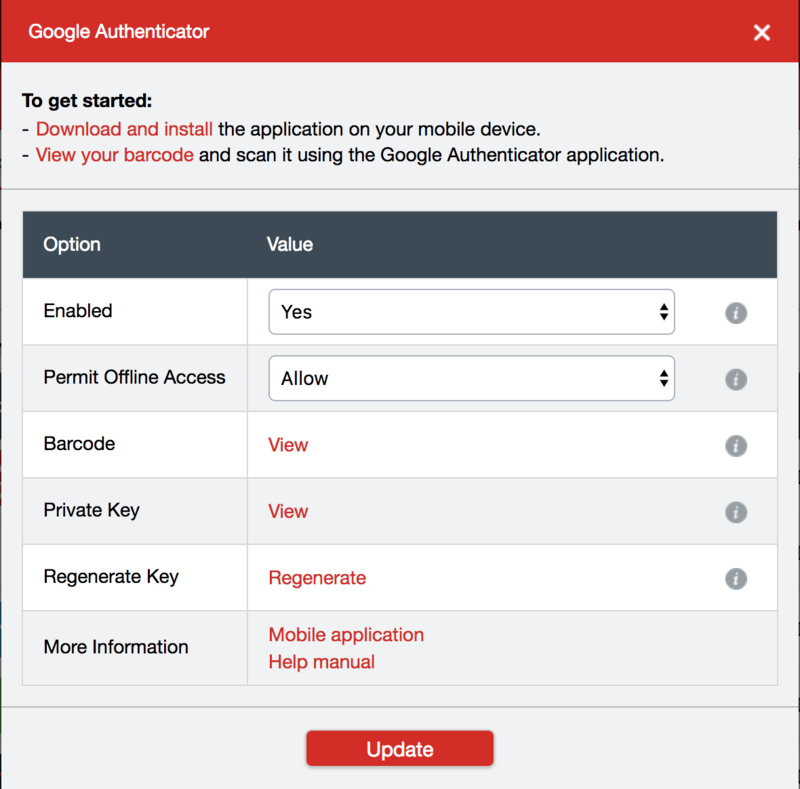 Google Authenticator is supported in the free version of LastPass and Yubico® OTP is supported in the premium version of LastPass. 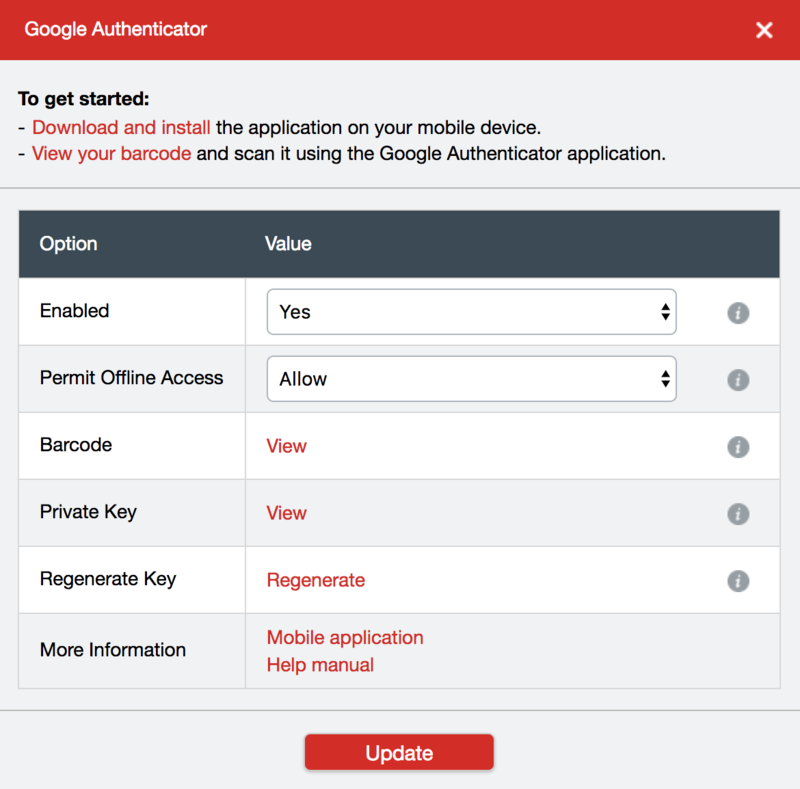 To protect LastPass account with Google Authenticator 2FA follow the steps below. Step 1. 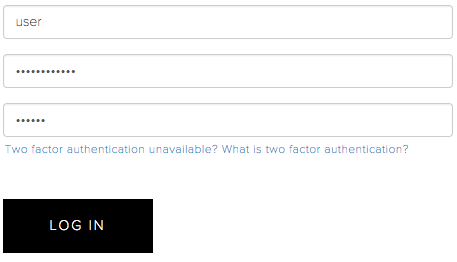 Go into Account settings-> Multi-factor Options and select the edit button in the Google Authenticator column. Step 3. You will be prompted to enter your master password and then the key is displayed. Step 4. 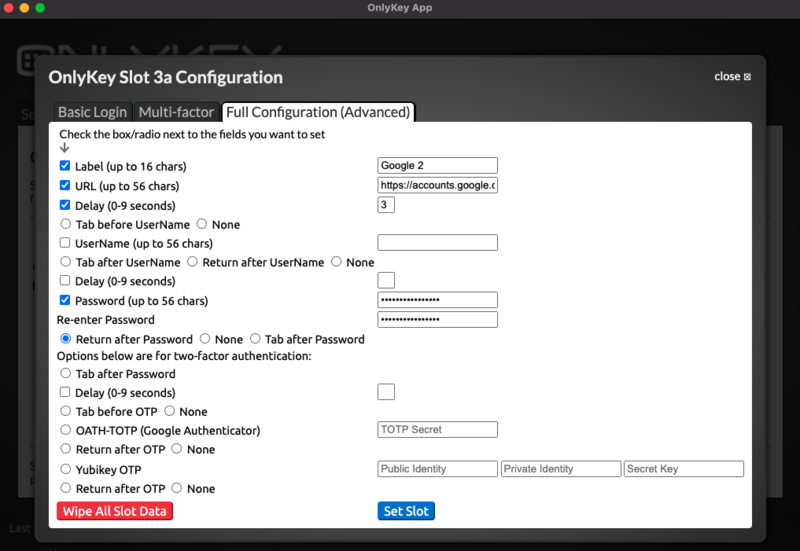 Copy and paste the key into the Google Auth OTP field of the OnlyKey app for the slot that you want to set up. Step 5. Make sure to check the radio button next to Google Auth OTP and select Submit. Step 6. Go back to the LastPass app and select Update. You will be prompted for your password again and then your current verification code. Click inside the verification code box and press the button assigned to the slot you set up on your OnlyKey to type out the verification code. DashLane supports Google Authenticator, Yubico® OTP, and U2F. The choice is yours but for beginners Google Authenticator is the best option. SmartLock is a new password manager that is available in Google Chrome. 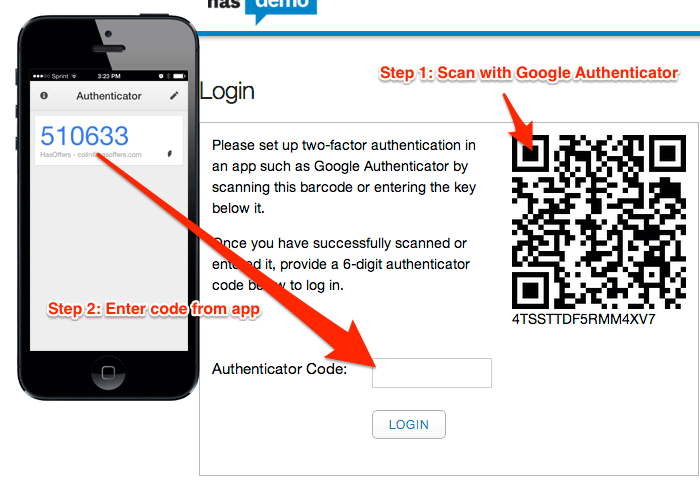 Since this uses a Google account it supports Google Authenticator or U2F. The choice is yours but for beginners Google Authenticator is the best option. 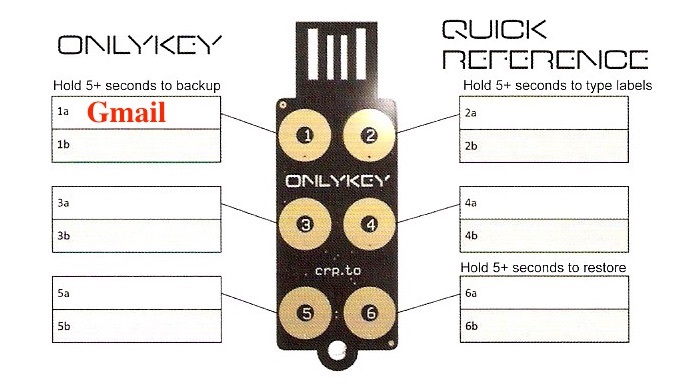 OnlyKey is OpenPGP compatible and the worlds first plug and play encryption device. It is universally supported and does not require special software or drivers. 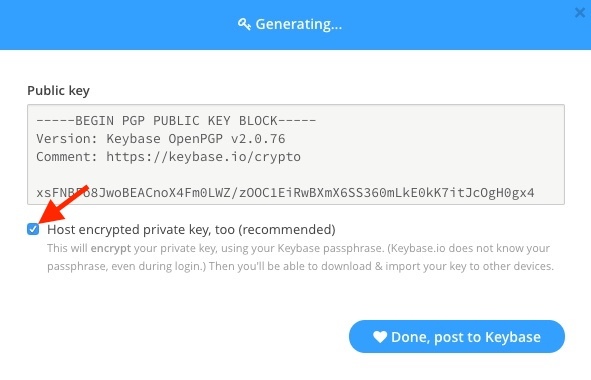 With OnlyKey and Keybase you can truly send and receive secure messages anywhere. 1) WebCrypt is supported on Firefox and Google Chrome for sending secure messages right in the browser. 2) BrowerCrypt is a Google Chrome Extension that allows you to highlight any text in the browser and encrypt it. Note: Private keys are not accessible to the app or to the browser. This is in contrast to for example PGP/GPG software, webmail (i.e. Protonmail), and smartphone apps. OnlyKey can only process secure messages when you tell it to by entering a 3 digit challenge code. After configuring your OnlyKey following these instructions you can browse to the Webcrypt app to send secure messages. 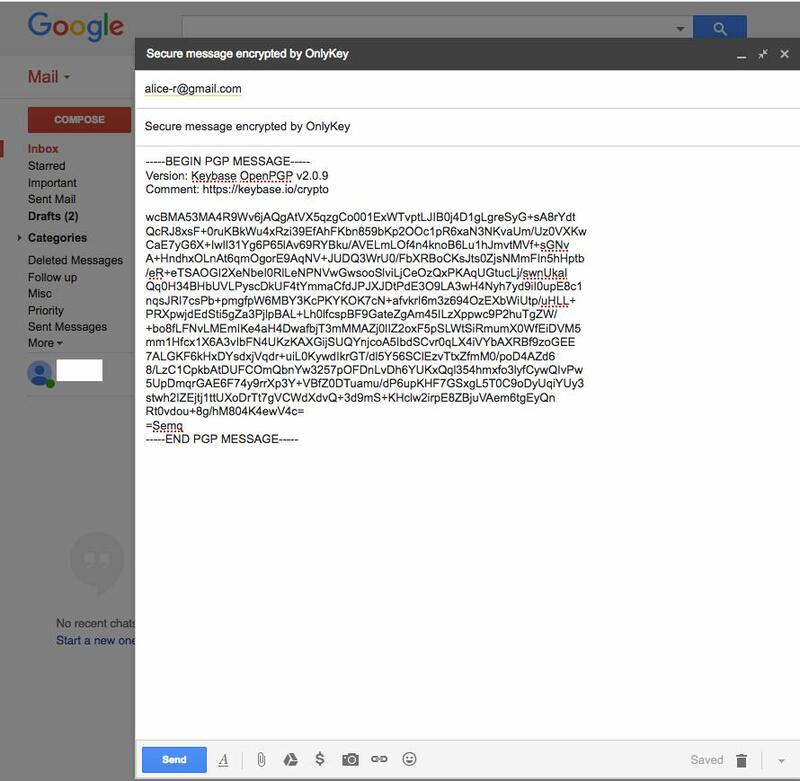 Decrypted message shown, if the sender signed the message you will see the sender’s name (i.e. t) and their key ID. BrowserCrypt is similar to WebCrypt but instead of pasting messages you can compose a message anywhere in the browser and then highlight and click to encrypt. 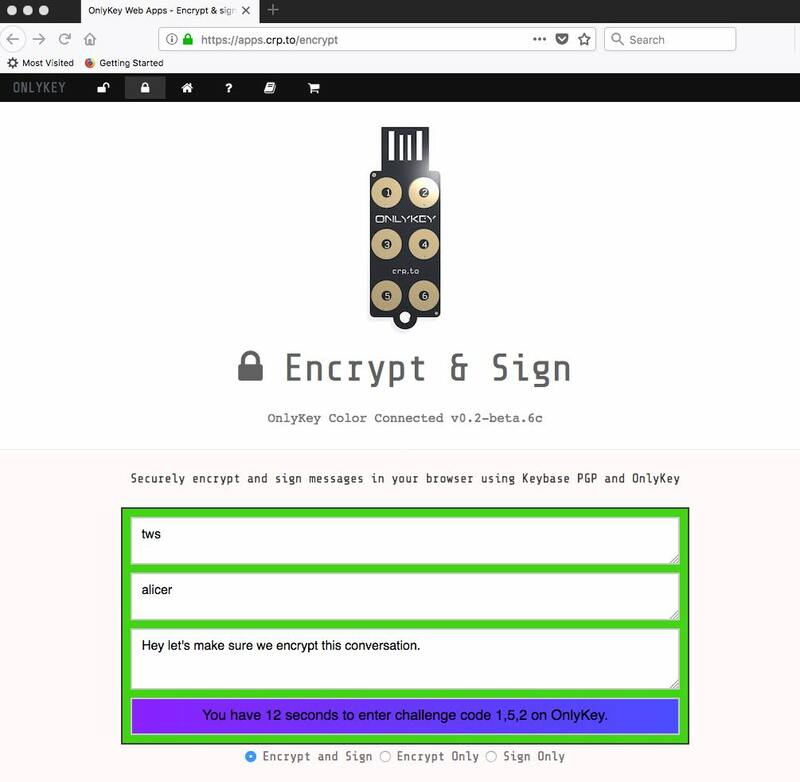 Both BrowserCrypt and Webcrypt use the same method for encrypting messages but BrowserCrypt has some advantages including the ability to store the Keybase ID of recipients. These are stored in your local browser storage so there is no need to remember or lookup a recipient’s name. Warning: Some websites may save a draft of your message automatically. For example, an email provider may save the message you are composing so that in case you close out of your email you can return to the message later. Keep this in mind when using BrowserCrypt, if you are concerned that your messaging provider may be able to read or save draft messages then use a secure composition window like Webcrypt. OnlyKey has several customizable preferences that can be accessed from the preferences tab of the configuration app. This is the amount of time that the OnlyKey should remain unlocked while not being used. The default value is 30 minutes and the maximum is 255 minutes (about 4 hours). To disable lockout altogether set the lockout to 0. Setting a custom type speed may be desirable in cases where the application you are using can not keep up with fast typing. Or if you don’t use any applications with type speed restrictions you can have the text typed at top speed for the fastest logins. Setting value to 1 will result in very slow type speed of about one character a second, setting value to 10 will result in very fast type speed that will type almost instantly. Use Case #1 - If you are using the plausible deniability feature there is one scenario where an adversary may be able to determine that you were using the plausible deniability feature. This is possible if the adversary enters 10 incorrect PINs causing your OnlyKey to wipe all data and then they go to reconfigure the OnlyKey. The adversary would be able to determine during setup if the device has the Standard Edition firmware or the International Travel Edition firmware. At this point the device is wiped the adversary would not have access to any sensitive information but the adversary would know that your device is capable of encryption which in some areas may be undesirable. To address this issue you can set the wipe mode of your OnlyKey to Full Wipe. Given the same scenario with Full Wipe set when 10 incorrect PINs are entered the device will completely wipe all information including the firmware from your OnlyKey. No useful information would be available to an adversary concerning what firmware you were running and in order to use the device new firmware must be loaded. Use Case #2 - You just like to be absolutely sure that everything including the firmware has been eliminated from your device when a factory default occurs. By default, you must enter a 3 digit challenge code on OnlyKey to perform SSH or PGP operation. This is great for security but for some users a more convenient approach may be preferred. With challenge mode off, a physical press on any key is all that is required to perform the SSH or PGP operation. By default, you can change your backup key/passphrase at any time by entering your PIN to put the device in config mode. By setting backup key mode to locked, the backup key/passphrase may not be changed. This setting provides extra security so that even if an adversary has your PIN and has physical access to your device they would not be able to backup and restore your data. OnlyKey makes encryption keys easier and more secure by storing them offline, protected even if the computer using the key is compromised. In the simplest terms an encryption key is something you have that allows you to encrypt data. This data could be emails, files, or anything really. Every time you browse to a secure website there are keys being used in the background to encrypt the information you send so that only you and the website can see the information. Why does protecting private keys matter? You may hear the term private key being used sometimes, we will not get into the details here but there are plenty of places to read further on this topic online. For our purposes here a private key is used to read the secure messages / data that someone sends you. Only you should have access to this key because anyone with access to the key can read all messages sent to you in the past or in the future. This is why it is important to protect the key from exposure and why storing it on the OnlyKey is better than on your computer somewhere. If it’s on your computer and your computer is hacked then all past and future messages you send may be read by the hacker. What does OnlyKey use keys for? 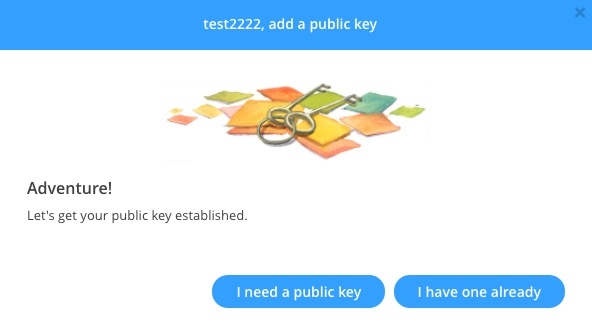 The OnlyKey stores private keys. These private keys are used for four different purposes. Secure Encrypted Backup - This will backup everything including your stored accounts, preferences, and other keys to an encrypted text file. For information on backing up OnlyKey see Secure Encrypted Backup. 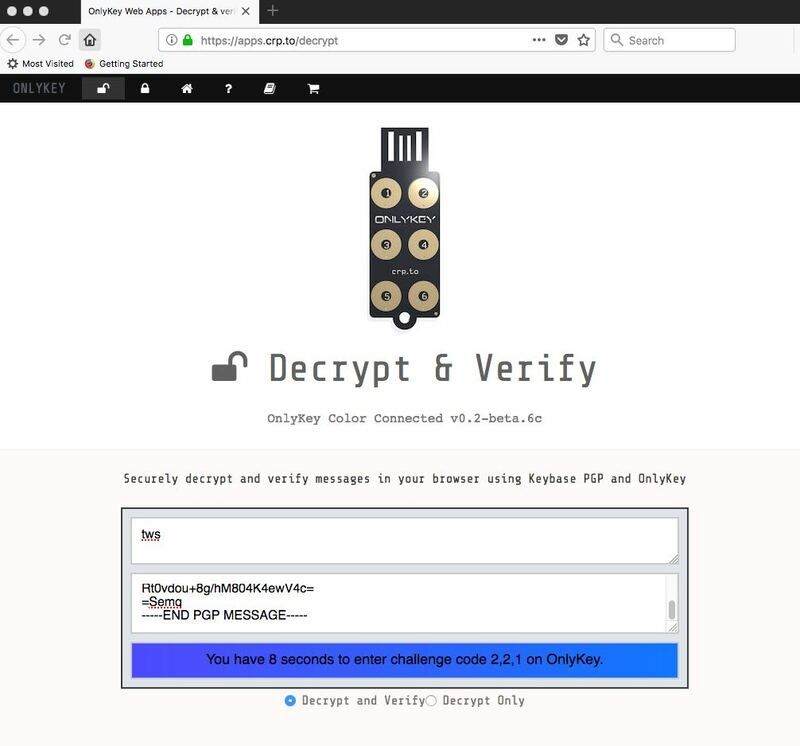 OnlyKey WebCrypt - WebCrypt is a serverless Web App that integrates with OnlyKey and keybase.io to provide encryption everywhere on-the-go. OnlyKey BrowerCrypt - BrowserCrypt is a Google Chrome Extension that integrates with OnlyKey and keybase.io to provide easy and secure PGP encryption in Google Chrome. SSH Authentication - SSH is a popular remote access tool that is often used by administrators. Thanks to the OnlyKey SSH Agent remote access can be passwordless and more secure. For information on using OnlyKey for SSH authentication see OnlyKey-Agent. Learn more about keys feature here. 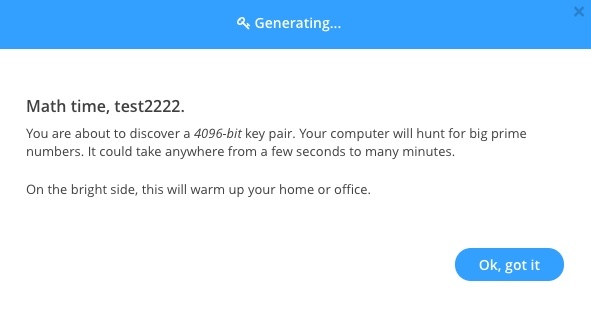 Warning: Only generate keys on a computer that you trust (i.e. never a publicly accessible or shared workstation). Step 4. 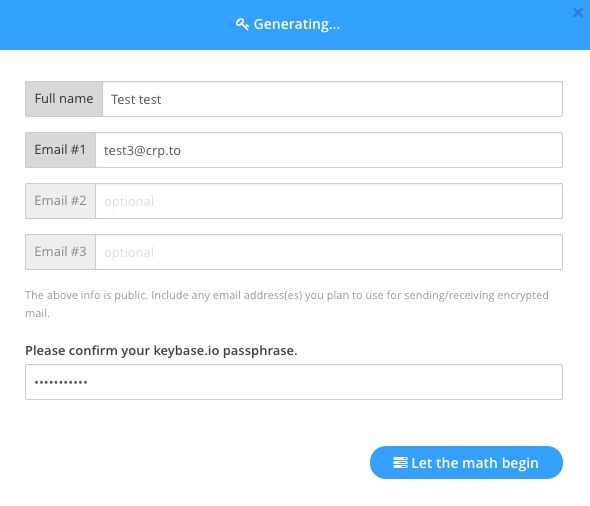 Enter an email address, username, and passphrase. This username will be used by others who want to send you encrypted messages. When finished select join. Step 8. Enter Full name and at least one email. These will appear on the messages you send. When finished select Let the math begin. Step 9. After the key is generated make sure to uncheck Host encrypted private key, too. Best security practices are to only keep your private key offline. Step 10. 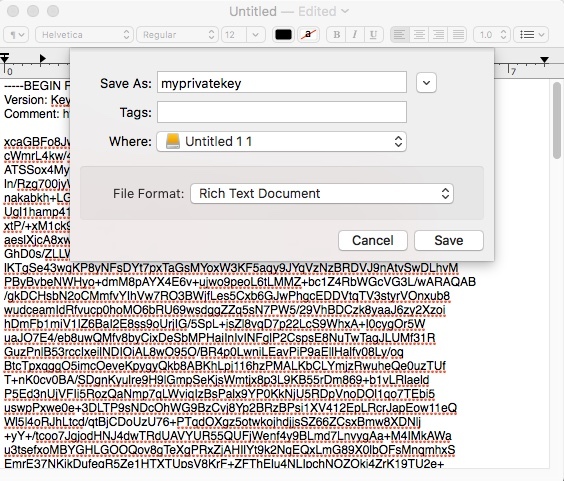 Highlight your private key and copy to a text file. Save this to removable media like a USB flash drive or CD/DVD. You may want to make multiple copies as there is no way to recover this key if you lose it. Also ensure you write down your key passphrase (Same as Keybase account password) this is required to unlock your key. Store both in a physically secure location. Pro Tip: A great physically secure location is a safe, preferably a fire safe. Step 11. Select Done, post to Keybase. Now all that is needed to start sending encrypted messages is to load the key you generated onto your OnlyKey. Warning: Only load keys on a computer that you trust (i.e. never a publicly accessible or shared workstation). If you generated your keys as described in the Generating Keys section above proceed to follow the steps below. If not head over to Loading Keys Advanced. Step 1. Open the text file of your private key that you saved in the previous steps. Select all of the text of the private key (CTRL+A), and copy the text (CTRL+C). Step 2. 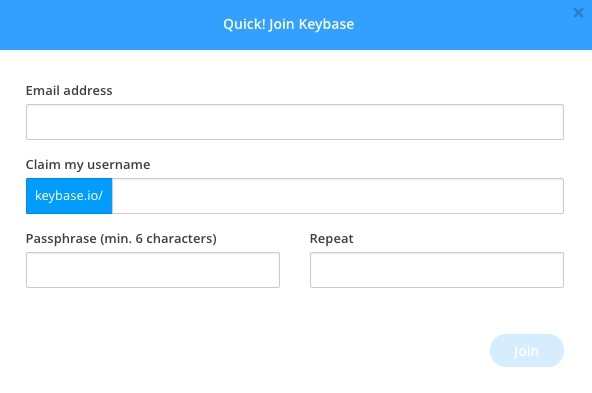 Click on the Keys tab of the OnlyKey App. Hold the 6 button down for more than 5 seconds, and then release, you will see the light turn off. Re-enter your PIN, you will see the OnlyKey LED fade in and out continuously (Red if OnlyKey Color) while in config mode. Note: Selecting set as backup key will use your Keybase key to encrypt backups. Setting this will override any previously set backup passphrase/key as there can only be one backup key set. You should see a message displayed indicating the key was successfully saved to OnlyKey. 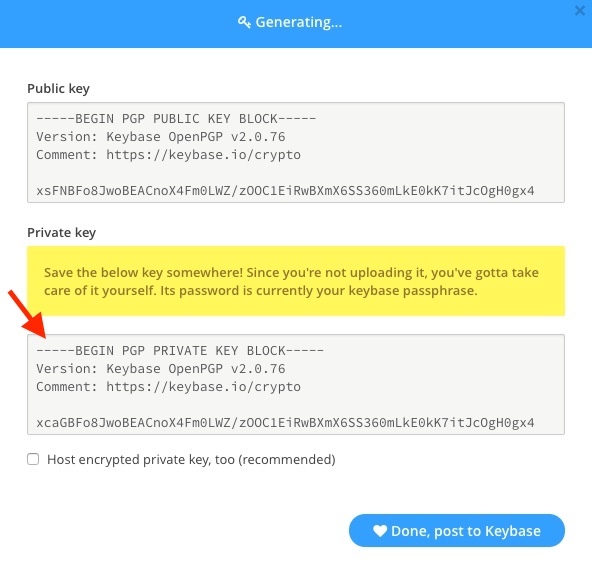 If you did not generate keys using the Generating Keys steps provided or you already have an OpenPGP key that you would like to use there are some additional considerations. 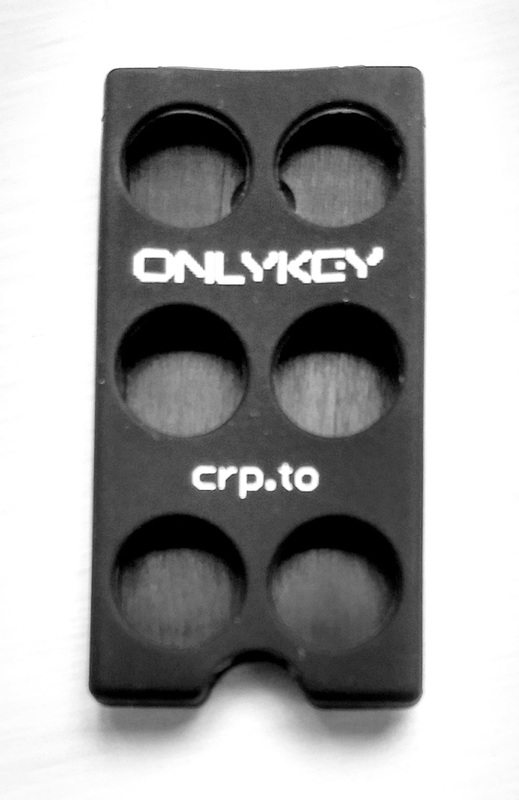 OnlyKey supports RSA OpenPGP keys of sizes 2048 and 4096 (ECC Keys are not used for OpenPGP). Decryption operations using a 2048 size key takes about 2 seconds, with 4096 size key it takes about 9 seconds (or up to 30 seconds with OnlyKey Original). For best user experience we recommend using OnlyKey Color with 2048 key size (subkeys) for decryption and signing. 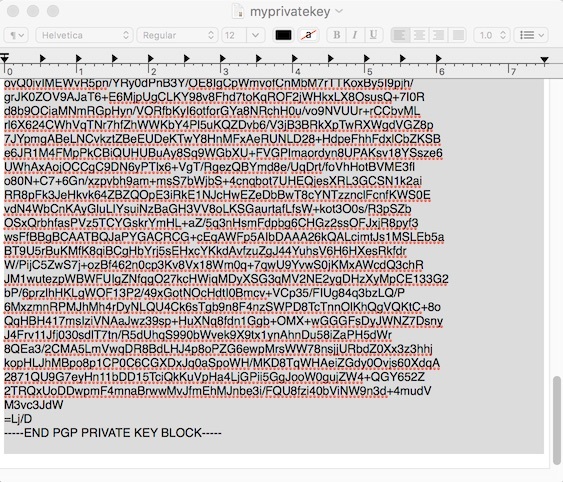 Each OpenPGP key is actually multiple keys. 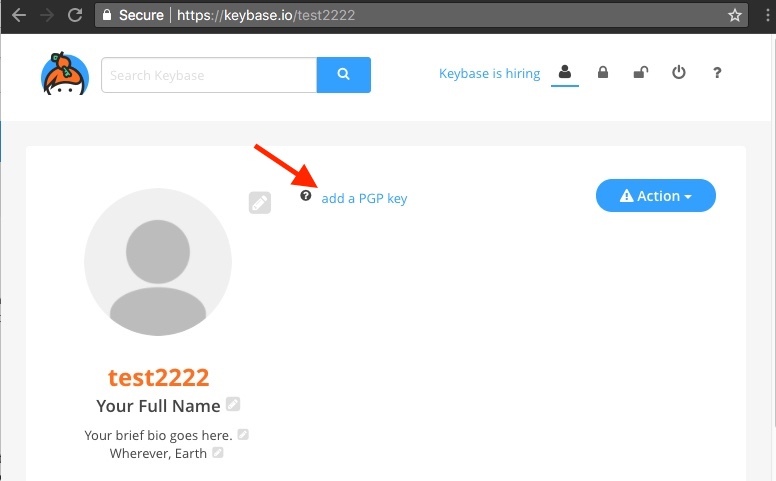 There is a primary key and subkey(s), for example when you follow the Generating Keys steps Keybase generates a key that has a 4096 key size primary key and two 2048 key size subkeys. The first subkey is used for decryption and the second subkey is used for signing. You need to determine which keys to load to OnlyKey if you are generating your own key. Typically, if your key has two subkeys then subkey 1 is used for decryption and subkey 2 is used for signing. If your key only has one subkey then the primary (master) key is typically used for signing and the subkey is used for decryption. This is the default for keys created with GnuPG and Mailvelope (OpenPGP.js). Load the decryption subkey into slot 1 of OnlyKey and check “set as decryption key”. Load the signing primary/subkey into slot 2 of OnlyKey and check “set as signature key”. $ gpg2 --export-secret-key -a "asdf"
Note: Selecting set as backup key will use your GPG key to encrypt backups. If you wish to use a different key for backups just load that key and set it as backup. There can only be one backup key set. The Secure Encrypted Backup Anywhere feature allows you to backup OnlyKey on the go. The way that this works is that the OnlyKey encrypts everything on your OnlyKey using an encryption key and then types it out. This allows saving the backup in a text file or email on any computer. Step 1. First, you must have a backup passphrase or key set on your OnlyKey. Step 2. 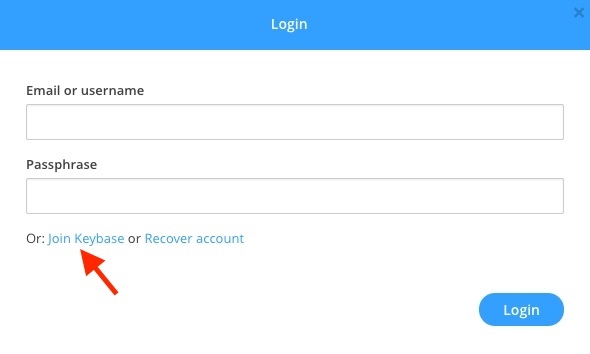 Click on the Backup/Restore tab of the OnlyKey app. Step 3. Click inside the Backup data box and then hold down the 1 button on your OnlyKey for 5 seconds or more and then release. This will type out an encrypted backup of your OnlyKey configuration into the box. Select save file to save the backup file which has a timestamp so you can keep track of the latest backup file. The process is the same to backup without the app. 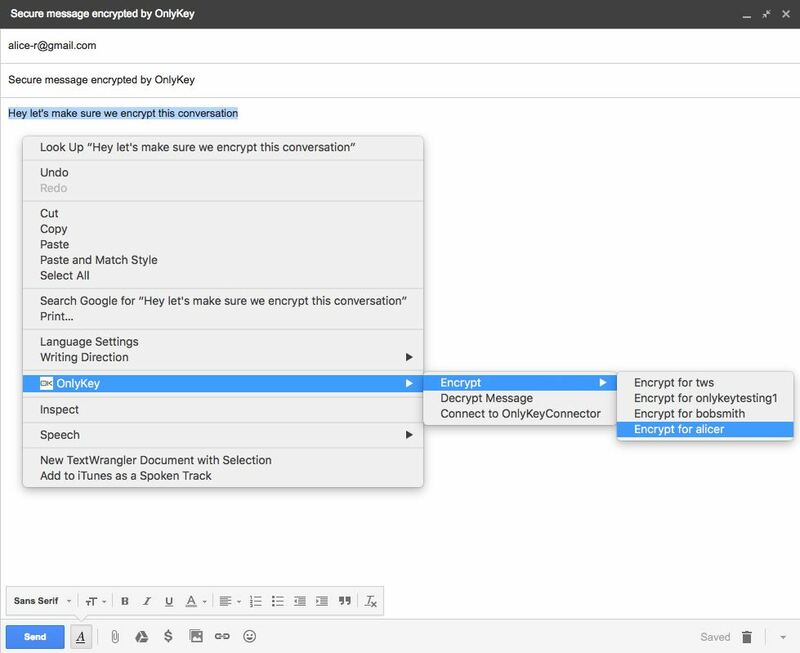 OnlyKey can type out your encrypted backup anywhere. Save to a text file - Instead of clicking in the Backup data box you could click into any text editor like notepad and when the backup is complete save the text file using whatever filename you prefer. Save it in an email - In the same way you could also click into any email client and then when the backup is complete send the email to yourself or someone else. Using the backup file created in the Secure Encrypted Backup Anywhere section, we can restore an OnlyKey from backup. This also allows restoring to a different OnlyKey or a second OnlyKey in order to have an extra. Note: The way that a restore works is that it overwrites the current information on your OnlyKey with the information stored in the backup. So if you for example have a backup file that contains a password in slot 1 and you do a restore to an OnlyKey that already has a username and password in slot 1 the result would be that the username would remain unchanged and the password would be overwritten. Step 1. Ensure that a PIN is set on the target OnlyKey by completing the Initial Setup section and ensure that the same passphrase/key is loaded onto the OnlyKey that was used to backup. Step 2. 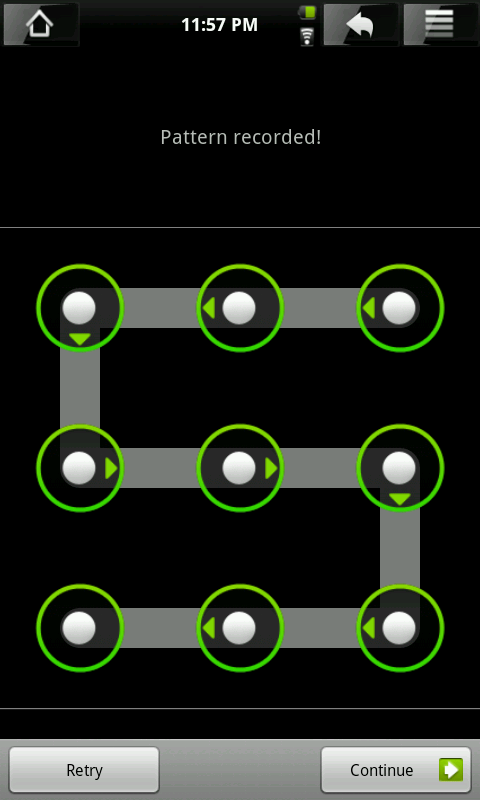 Put the OnlyKey into config mode by holding the 6 button down for more than 5 seconds, and then re-entering your PIN. You will see the OnlyKey LED fade in and out continuously (Red) while in config mode. Step 3. Click on the Backup/Restore tab of the OnlyKey App and then click Choose File to select your OnlyKey backup file. Click Restore to OnlyKey. If you used the OnlyKey App to create the backup then the name of this file will be ‘‘onlykey-backup-.txt''. The timestamp can be used to make sure you are loading the latest backup. Step 4. Restore may take a minute or two depending on the amount of data to restore. You will know that the restore is complete when the OnlyKey reboots automatically. You can check firmware version by looking in the bottom right corner of the OnlyKey App. If your OnlyKey has firmware v0.2-beta.7x or later follow the instructions below to load OnlyKey Firmware. There is an option in the app to load firmware when first setting up a new device. There is also a tab named Firmware in the app. This may be used to load the latest firmware onto OnlyKey directly through the app, no backup/restore or wiping is required. Firmware updates are securely signed using a simple blockchain and verified by on the OnlyKey. Note: Ensure the signed firmware is downloaded (.txt extension) the unsigned firmware (.hex extension) is not compatible with in-app loading. Additional color cases are available - Choose a color that fits your style – Stealth Black, Guardian Blue, Hacker Green, Resistance Red, or Quantum White. Android is supported by using a USB on-the-go (OTG) adapter. There are two types of OTG adapters that can be purchased USB Micro and USB C.
Since the OnlyKey is essentially detected by Android as a keyboard, the username / password / Yubikey® OTP login features will work without any apps. With the OnlyKey Android app additional features like FIDO U2F, TOTP, and OpenPGP are supported. Get the app from Google Play here. 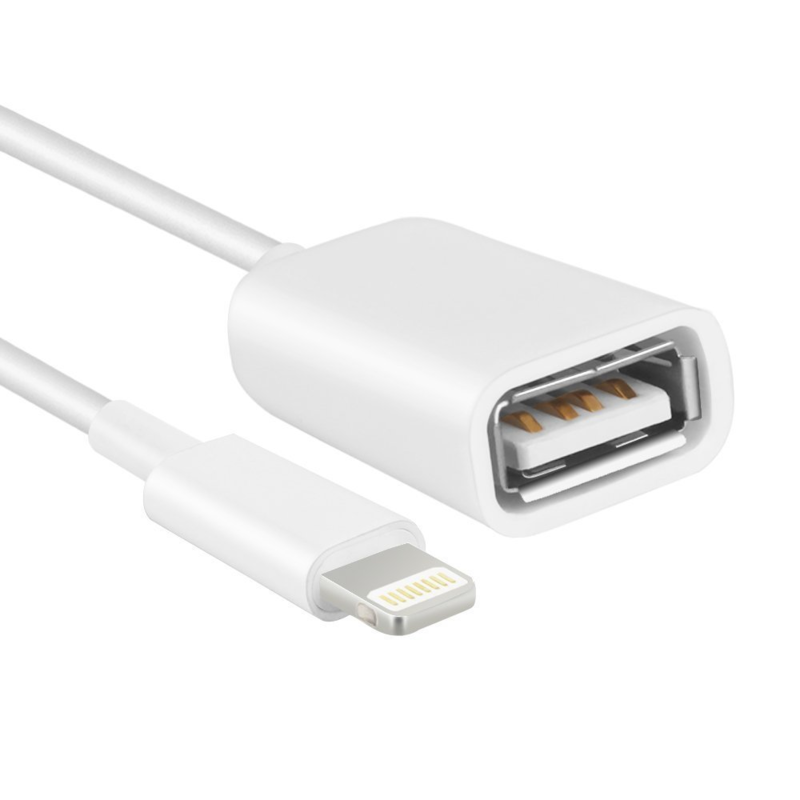 Note: Supports OnePlus2/3, Nexus 5X, LG G5, HTC 10 or other Android device with USB C and OTG support. Note: Supports Moto G5 Plus, Samsung Galazy S7 S6 S5 S4 S3 Note 2 Note, HTC One X, HTC One S, Moto G5, Moto X, or other Android device with USB Micro and OTG support. This is currently in the experimental phase so there is not official support. 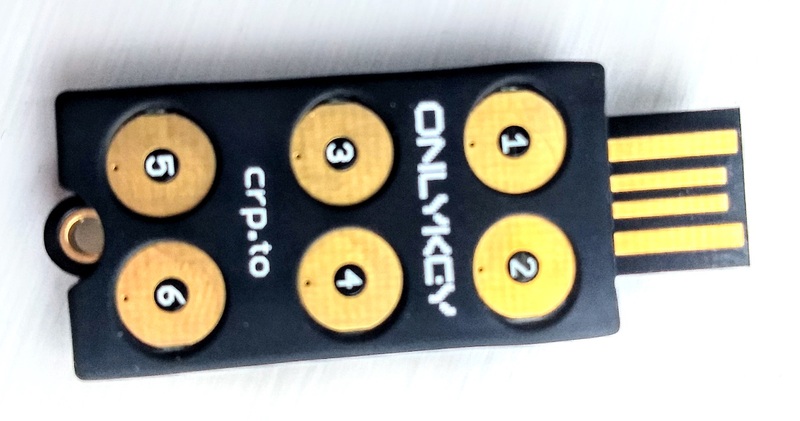 User’s have claimed to successfully use OnlyKey on their iPhones using a USB adapter like the one shown below. Since the OnlyKey is essentially detected by iPhone/iPad as a keyboard then the username / password / Yubikey® OTP login features will work. Unfortunately, there is no support for U2F or Google Authenticator currently. 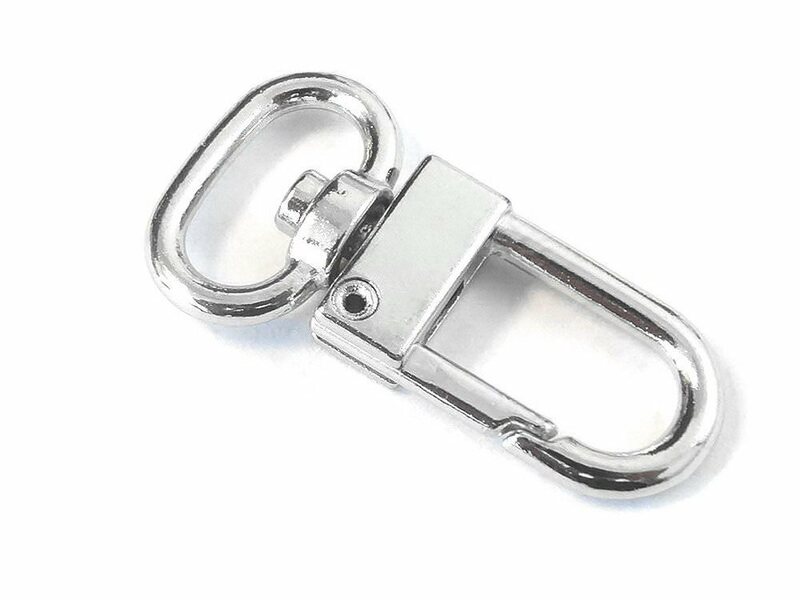 The standard keychain is plastic which provides good durability and an easy quick disconnect for convenient access. If you ever need a replacement or extra keychain one can be purchased from the OnlyKey store. This keychain provides better performance and durability than the standard plastic keychain. This keychain swivels 360° and is designed to withstand the stresses of demanding use. This can be purchased from the OnlyKey store. Below is a list of common issues and solutions. Accidentally press OnlyKey button All OnlyKeys now include a silicone case accessory, this is also available for purchase on Amazon. Using the case makes it difficult to inadvertently press a button. Not working with certain sites / Not entering data in correct field We often get customers that ask how to set up a specific site with OnlyKey. There are several examples listed in the table provided in the Set up a slot section. If you have a use case that is not covered by this please open a new issue on the support forum. Missing characters while typing / typing too fast / typing too slow Adjust the type speed in preferences. 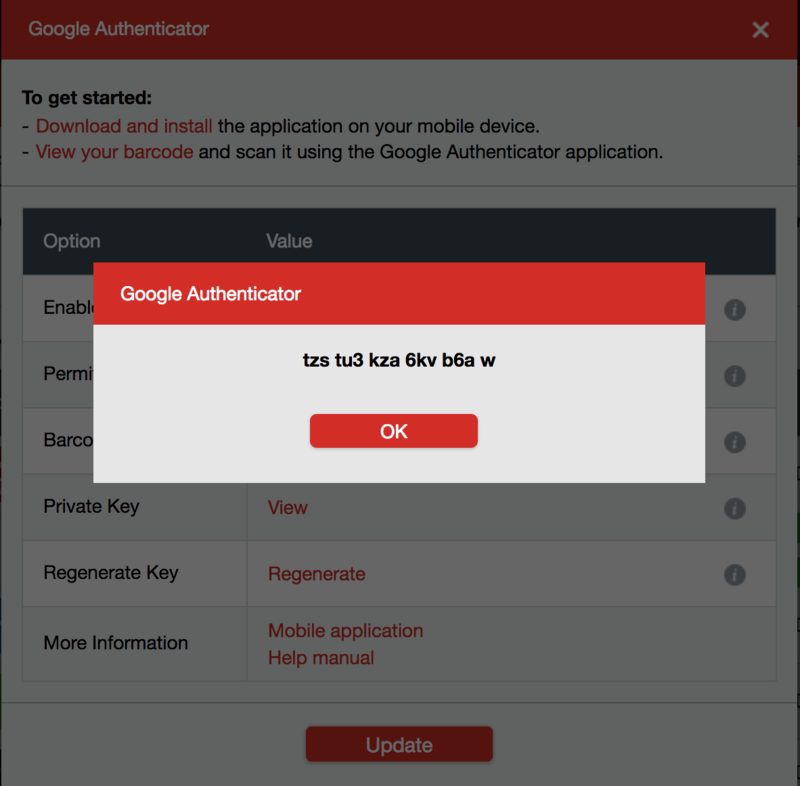 Google Authenticator types NOTSET instead of OTP code This occurs when the OnlyKey does not have the time set. Time is set from the OnlyKey app which occurs automatically. The OnlyKey app must be installed for the code to be generated. Entering data into OnlyKey App and selecting submit but the data is not saved The check box next to the data must be selected. Yubico® OTP Error (LastPass) The majority of Yubikey® OTP applications require Yubicloud setup including LastPass. See Yubicloud section of User's Guide. If you have an issue not listed here please reference the online support forum here. Note: The reason that primary PIN can’t just be changed is a security reason. The key that encrypts all of sensitive data on the OnlyKey is derived from your PIN and a random number.